Well, maybe he’s not. Actually, I don’t believe it at all, because I’m Catholic and our tradition denies that Jesus had any siblings. This is some of the suspicious information you run into doing internet-based genealogy. I was investigating my family history on Ancestry.com one day. They have this neat little “hint” feature that will suggest missing members of your tree based on the “research” of other members. So I was happily clicking and adding branch after branch until people like Eleanor of Aquitaine and Richard the Lion Hearted and Charlemagne and Joseph of Arimathea started appearing in the tree. First I was excited to be descended from such luminaries, but soon I learned that although some people wish to prove descent from antiquity, most experts don’t really believe that’s possible. 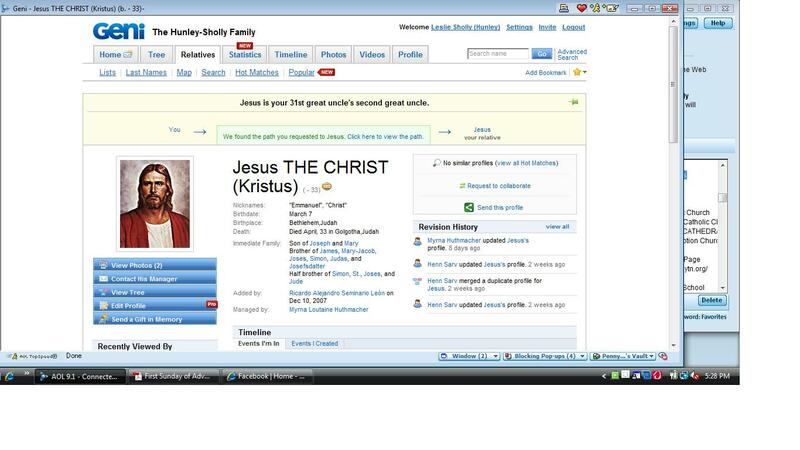 The above screen shot comes from Geni.com, which is a collaborative project in which all users can add to each others’ trees. That means that sometimes you get useful information and find new relatives, and other times, you end up with Uncle Jesus. I’ve found a lot of good information on Rootsweb, where users post ancestry and descent. You can search by name, and compare trees, and pick the one that looks the most authentic. That’s where I went to find out if Con Hunley really was my cousin–he is! For years, people would ask me if we were related and I would say no, but I was wrong. 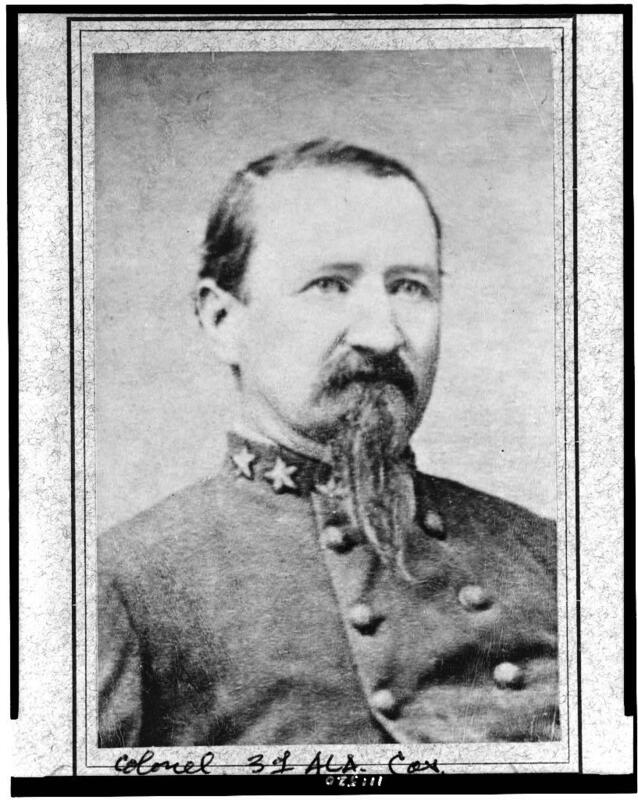 He’s my father’s fourth cousin, which I was able to figure out by finding an article that listed his father’s name and then plugging that into Rootsweb. I quickly found his branch and added him to my tree. The Genforum boards, organized by the family names that you are researching, have also been fun and useful places to ask other researchers questions about those elusive people at the top of the tree. Of course, using the internet is a lazy way to do genealogy, and I feel guilty when I think of my cousin Laurie, who has spent years doing actual research by going places and looking at historical records. I’m lucky that she shared all her authenticated information with me, so I had a place to start on my mother’s side of the family. So far, the only field trip I have been on was to visit graveyards in Union County to look at the final resting places of ancestors on my father’s side. 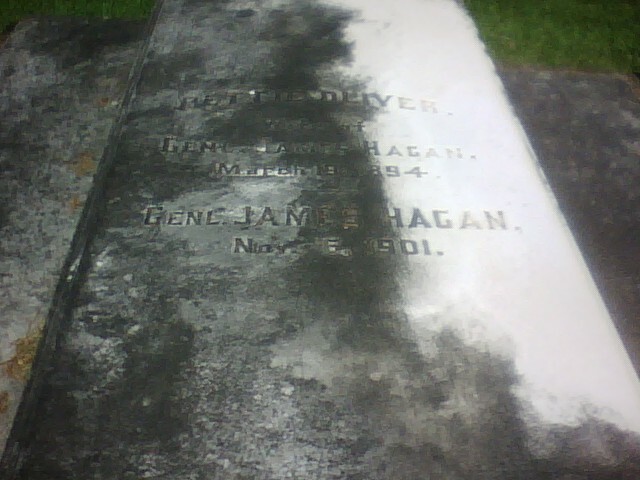 Well, except for several trips to Magnolia Cemetery in Mobile, to visit the grave of our most illustrious ancestor, my great-great-great grandfather General James D. Hagan, who served in the Confederate Army. For me, right now, genealogy is a hobby, so accuracy isn’t paramount. In the future maybe I will actually try to verify everything I’ve learned. I guess I’ll have to wait until I get to Heaven to check with Jesus about the uncle thing, though! Just discovered your blog. Good job! Like to follow. Oh, and Con is so handsome. Funny about the toys, just yesterday my mum was cleaning out her attic and discovered some old Barbie stuff, like Barbie Camper & Tent. Just remembering how much fun the neighborhood girls and I used to have sitting under the shade tree playing with Barbie stuff. The clothes were a flashback of many items I wore to school. Love those childhood flashbacks. Thanks, Cindy! I had the Barbie camper too! My sister and I used to take our Barbies camping outdoors also. We would pose them and take their pictures. I’ve never actually met Con, but my father has the silver hair and blue eyes too–it must be a Hunley trait.